We built this Signature Standard bass with so many custom features, it's anything but standard issue. 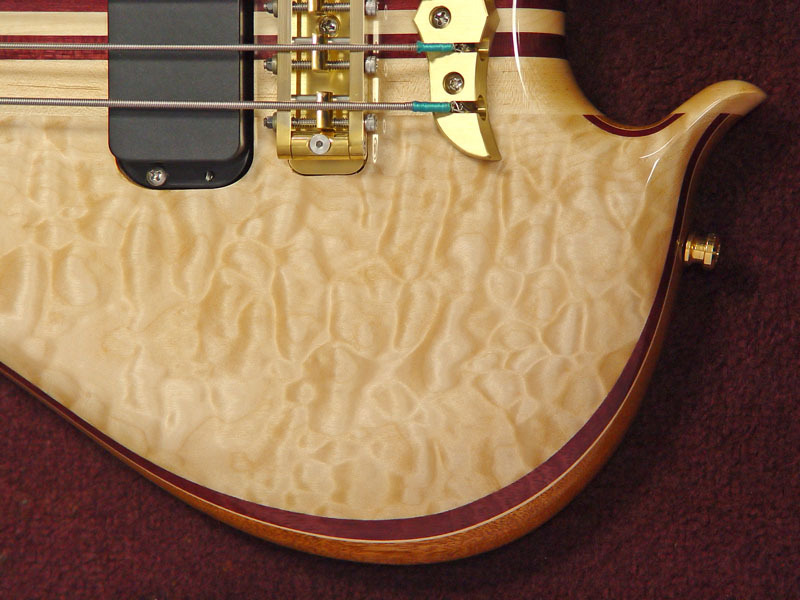 Front and center is the gorgeous 5A Quilted Maple top. It's a light buttery golden color, and there's lots of motion on that ocean of wood. On the flip side, the Mahogany back is outfitted with continuous wood backplates for a clean look and a little less heft than the brass ones. That second backplate houses the batteries for the side LEDs, in classic red. These are operated by a mini toggle switch, and are on a completely separate circuit from the bass' electronics. Neck through construction gives oodles of sustain, with a nice built-in EQ "smile" tone. 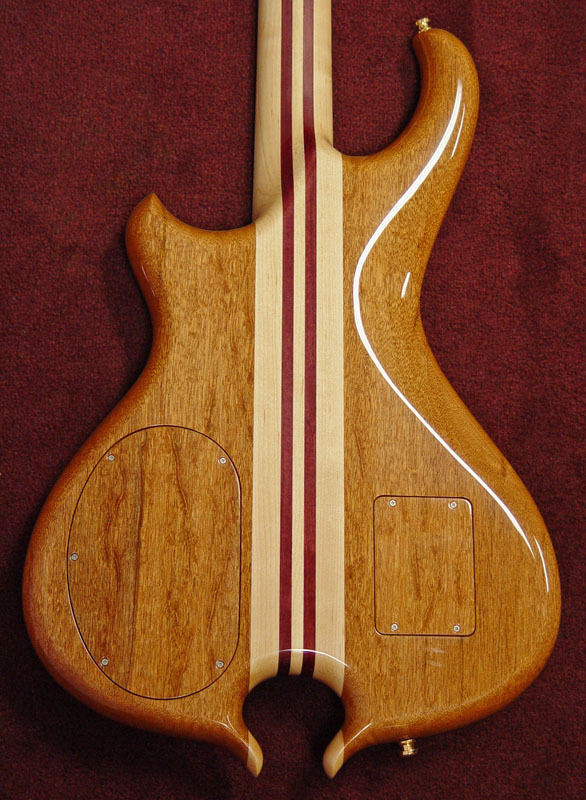 Purpleheart neck laminates add just a touch of brilliance to the tone. Fast satin-finished neck is an absolute joy to play. 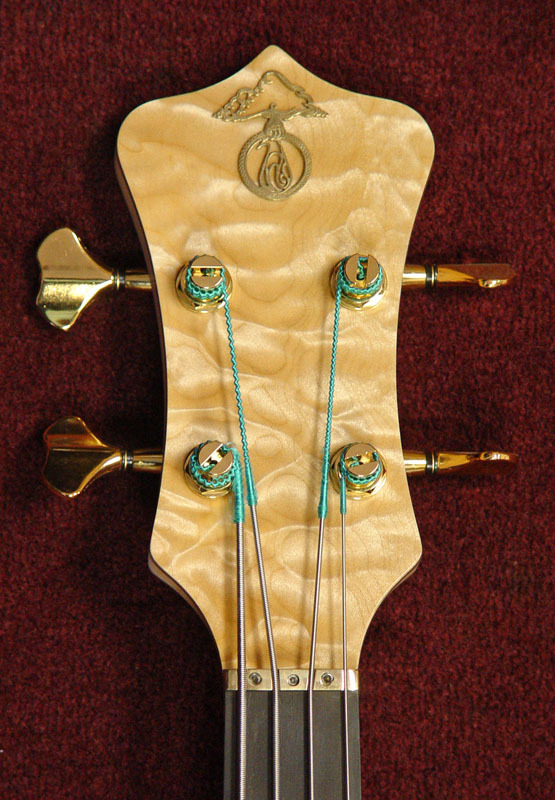 At just under ten pounds, you might even forget you're playing an Alembic, that is, if your ears weren't telling you otherwise.